b) very ashamed that I have been very self-indulgent and not sharing the love enough lately. So, here goes with a couple of plugs for some of my favourite new discoveries that have excited and tempted me lately... and there's plenty more to come (so long as I don't get all self-indulgent again). 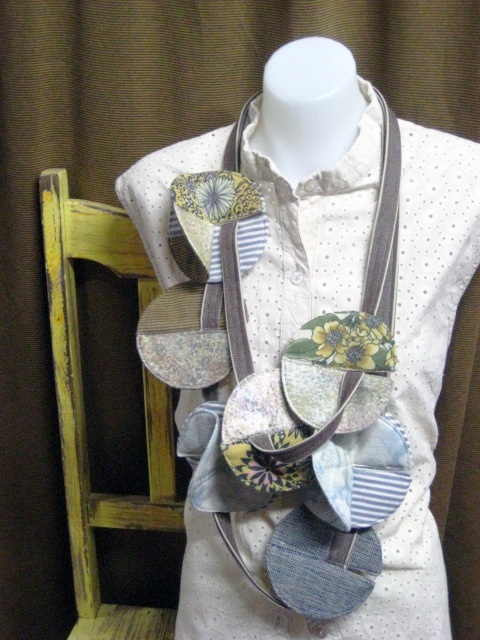 Gotta give my first props to a fellow fabric jewellery maker. 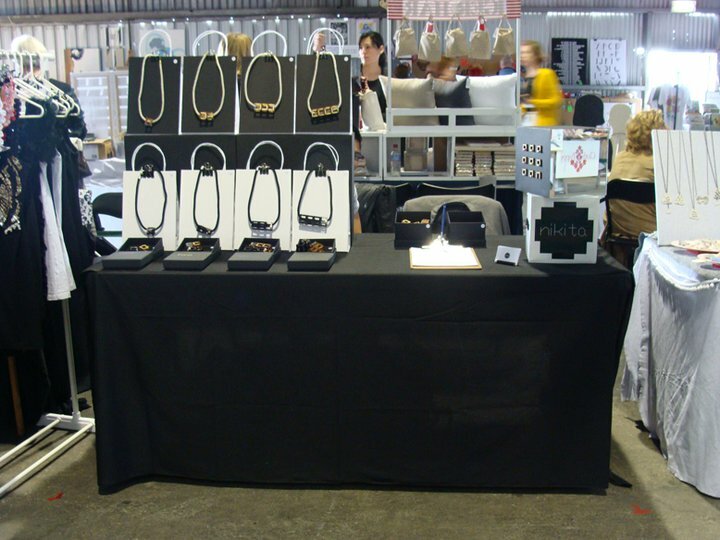 Whilst working my stall at the North Melbourne Market recently, I spied a lovely lady wearing a very striking neck adornment, made of fabric. I had to comment and she told me she'd just purchased it downstairs. The next moment I got I popped down to check it out myself and met the lovely Danielle from Yellow Mule. 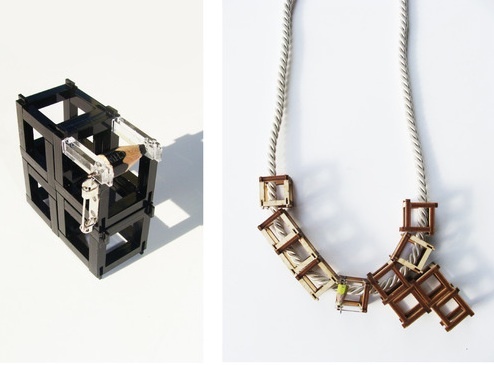 She describes her fabric accessories range as "wearable sculpture designed to travel". Isn't that a great description? I think her "Strings Attached" pieces pictured, which feature "circular pods", are stunning. 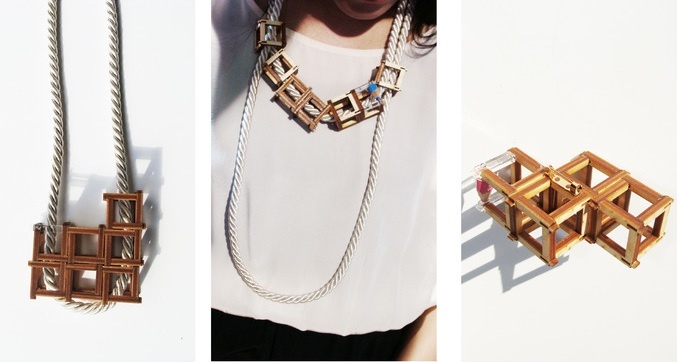 Textural, structural, chunky and bold, wearable, customisable pieces of fashion in their own right. 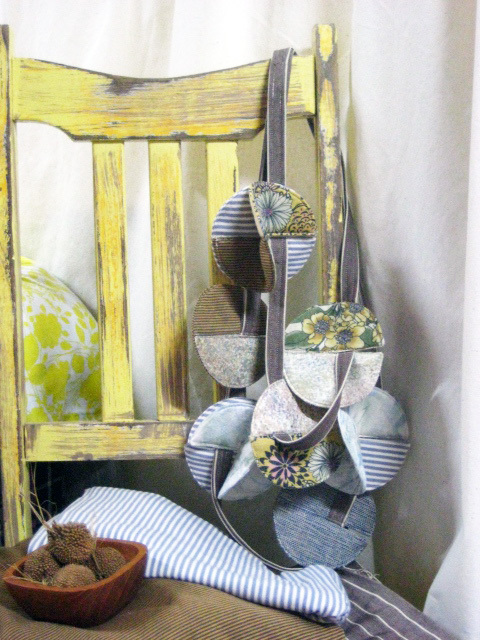 Yellow Mule's "Botanical Seed Pods" from the Strings Attached range. Photo courtesy of Yellow Mule blog. Danielle studied fashion design and is currently working for another designer (I didn't catch who in our rushed conversation), but I can see her going far on her own, as this looks like a great start to me. Finders Keepers in Melbourne was pretty busy, so I didn't get a lot of time for checking out other stalls, but when I did whip around I saw plenty I liked, which is to be expected. I've also come to expect that there will also be one or two stalls that just stop me in my tracks for their sheer ingenuity, creativity, and I-have-to-have-one-now factor. 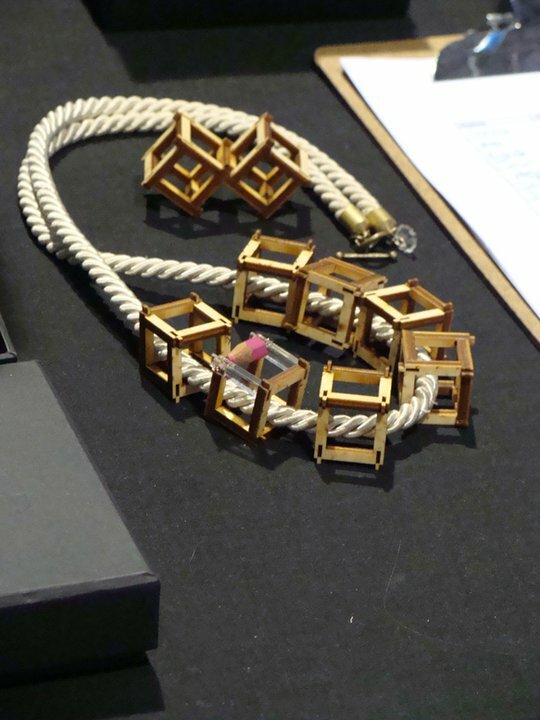 This time it was Nikita: a handmade jewellery range that combines perspex cubes and colour pencils into the coolest lego-like customisable pieces. I love that they are so simple, yet complex; bold, yet understated too. The pencil pieces are so unexpected they make me smile every time I look at them, and I am still discovering new ways I can wear my new piece. It came as no surprise to read that Nikita's background is in architecture. Hailing from Sydney, it is also no surprise that she has been chosen as a feature designer in Finders Keepers' Arcade Project at Gaffa Gallery. OK, my catholic-school-created guilt at not doing enough has now subsided slightly, and I must get back to the sewing machine to finish off a few new pieces for Finders Keepers in Brisbane this weekend (see, couldn't TOTALLY leave out the spruiking could I?). But I promise to share more from the pile of business cards and brochures I have sitting here ready to share and drool over soon. I saw that Nikita stuff too, so impressive isn't it!